The FAAEY, know as the "Liit" owns, maintains and operates the Järvemetsa campsite property in Jackson, NJ. Järvemetsa hosts the summer camp and other outings for the Estonian brownies, girls scouts, cub scouts and boy scouts. Thousands of Estonians from all over the world have participated in the camps over the decades. During the joint annual meeting of the Estonian Girl Guides in the US and the Council of Estonian Scouting in USA, the Estonian Relief Committee (ERC) provided their annual grant to the Federation of Associations for the Advancement of Estonian Youth (FAAEY). From left to right in the 2014 photo, taken by Urve Põhi, are Toomas Kilm (ERC President), Mati Kobin (FAAEY President) and Virve Vaher (ERC Treasurer/General Secretary). See photos of the kitchen and roof renovations funded by ERC grants. 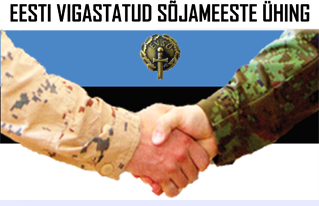 The Estonian Relief Committee has provided financial support to the Estonian Association of Injured Soldiers for decades. The funds are used to support the remaining 36 World War II veterans who fought to maintain Estonia's independence. The organization celebrated it's 100th anniversary as described in this linked article and video. It was originally established to support 22,000 veterans of Estonia's War of Independence. • Cooperate with legal entities and individuals in related fields. The Estonian Relief Committee has supported numerous local food banks in more rural areas including Jõgeva, Rakvere and Valga. The foodbanks are part of the Estonian Foodbank network whose mission is to share food with deprived people, food that otherwise would have been destroyed. Food Banks are specialists in bringing food from places where it is in surplus to places where there is need. The help of the Food Bank is meant to support families and people who have financial problems and during a short or longer period cannot get by. The help is free of charge and in principle temporary. The foodbanks give food aid to poor families, the aged and long-term unemployed, prioritizing those with many children or young children. The families are selected with the help of the local social services department. The Estonian Relief Committee is a regular financial supporter of the Tallinn Children's Hospital Foundation. The funds are used to support the purchase of advanced medical equipment and projects that will benefit children across Estonia. The Tallinn Children's Hospital's mission is to provide the best family-driven support, to be engaged in clinical development, to participate in research and to help prepare the next generation of children's health workers, doctors and nurses. Over the years, the Estonian Relief Committee has provided financial support to Estonian folk dancing troupes and singing choirs in the Northeast in order to preserve and promote Estonian culture and heritage. The New York "Saare Vikat" dance troop and the Connecticut Estonian School dance troop "Jaanik" as well as their choir were able to perform at the West Coast Esto Fesitival based on grants provided by the ERC. The event provided an extraordinary opportunity for Estonians of all ages to participate and view folk dancing groups and choirs from all over the world. Please read some of the thank you letters written by the Connecticut Estonian School youngsters who were able to participate in the events. SOS Children’s Village in Estonia is an alternative to foster families, which shall ensure children with permanent families and homes. They provide children without parental care living conditions, which resemble a life in a family. 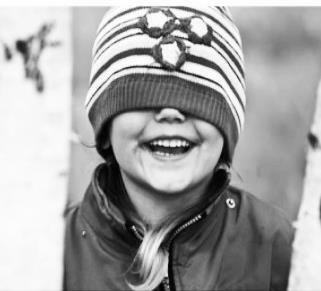 Children are referred to the SOS Children’s villages by local authorities of Estonia. Children are provided with a safe living environment, which facilitates their further development. Reliable relations and love, which they can experience again, will give the child an opportunity to recover from previous experiences, which have often been traumatic.Children can live in the same family with their biological siblings while still keeping contact with their biological parents. Over the years, the Estonian Relief Committee has supported the Estonian Boys Scouts and Estonian Girl Guides in the USA, including grants for participation at summer camps held in Estonia and in Jackson, NJ. The camps and ongoing scout and guide activities are key to establishing and maintaining our Estonian heritage and provide a path for our future leaders. The Estonian Relief Committee is a regular financial supporter of the Long Island Estonian Educational Society which operates and maintains the 7 acre property. The site inlcudes: cabins, a pool, track, volleyball court, sauna and main hall with a kitchen and dining area. 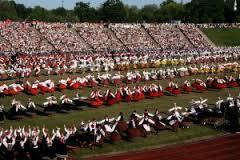 Many Estonian events are held there including the "Lastesuvekodu" summer camp, "Jaanipäev" and the annual Estonian-American Amateur Athletics sports day. The Estonian Relief Committee is a member and regular supporter of the Estonian Archives in the US. The EAU was established in 1969 with the aim to preserve the history of Estonians in exile. The archives are housed in a specially erected building near the Estonian Evangelical Lutheran Church in Lakewood. The membership consists of Estonian organizations in the U.S. The archives are run by volunteers and the costs of the archives are covered by membership fees and voluntary donations. In 2003, the Estonian Archives in the U.S. established the Hildegard Must Estonian-American Studies Fund at the University of Minnesota to preserve Estonian archival materials. By the end of 2003 about one third of EAU’s collections had been transferred, and this work is selectively continuing. For the time being those archival collections needed by organizations in their activities or used in on-going research remain in their place. Over the years, the Estonian Relief Committee has provided financial support to Estonian folk dancing troupes and singing choirs in the U.S. in order to preserve and promote Estonian culture and heritage. During the summer of 2014, many members of these groups were able to demonstrate their skills by representing the U.S. at Estonia's Song Festival and Dance Festival held in Tallin, Estonia. For decades, the Estonian Relief Committee has supported the non-profit activities of the NY Estonian Educational Society. Programs include support of Estonian groups such as the Estonian School, Girl Scouts, Boy Scouts, choirs and dance troupes. The New York Estonian Educational Society was established on December 7,1929. Since then, the Society has served as the center and focal point of Estonian activity in New York. Over the years, the Estonian Relief Committee has supported the non-profit activities of the Lakewood Estonian Association which owns and operates the Estonian House in Jackson, NJ. 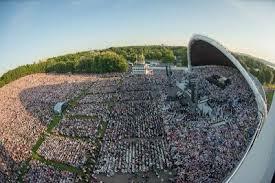 Programs include support of Estonian groups such as the Estonian School, Girl Scouts, Boy Scouts, choirs and dance troupes, and other sports and cultural events. Over the years, the Estonian Relief Committee has supported the NY Estonian Mixed Choir and its predecessors -- the NY Estonian Womens Choir and the NY Estonian Mens Choir. The choir practices at the NY Estonian House and performs at numerous Estonian cultural events and venues throughout the year. Please support your fellow Estonians! The Estonian Relief Committee has supported the Northeast Estonian Children's choir for a few years, including their singing camps and performance at the 2017 Children's Song festival in Tallinn, Estonia. The camps and ongoing practice and performance activities are key to establishing and maintaining our Estonian heritage and love for song with today's youth.